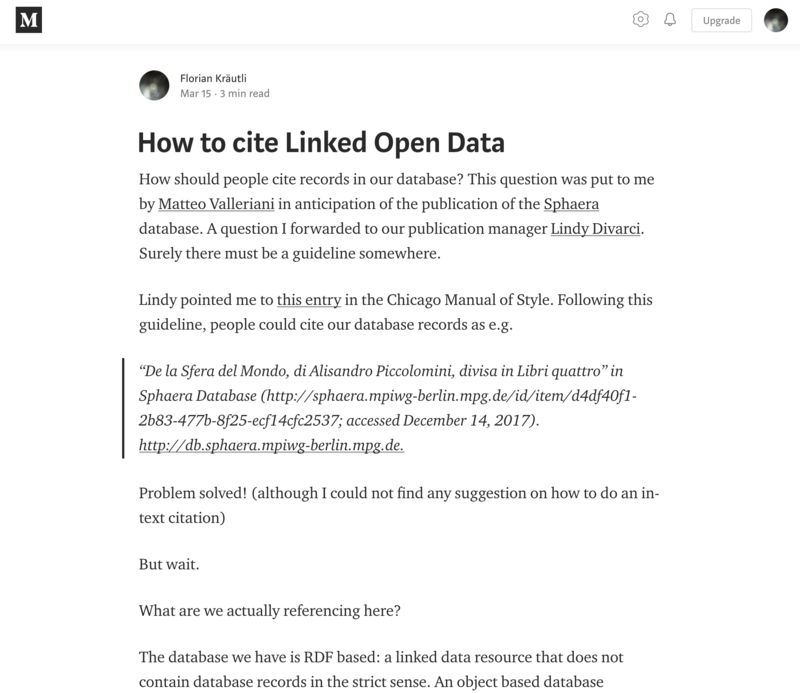 How should people cite records in our database? This question was put to me by Matteo Valleriani in anticipation of the publication of the Sphaera database. A question I was unable to give a straightforward answer to, because in a CIDOC-CRM based RDF graph database, delineating a record is not trivial.